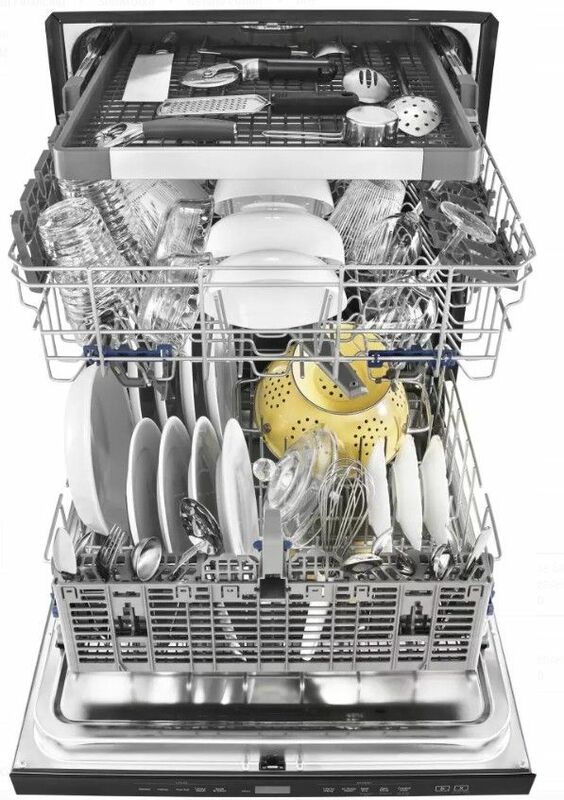 Arranging your dishware has never been easier with Whirlpool's EZ-2-Lift™ Top Rack. You can raise or lower the top rack to fit tall items in either the top or bottom rack. 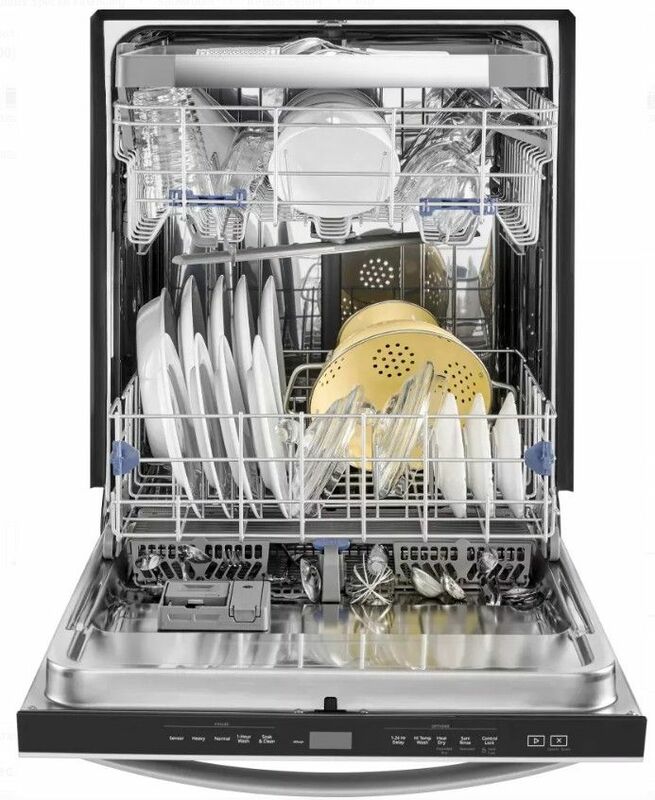 Along with its fold-down tines and removable top rack, you can fit just about anything in your dishwasher for a deep clean - pots, roasters, cookie sheets and more! Additionally, The AnyWare™ silverware basket can be hung on the door, the bottom rack or placed inside the bottom rack for convenience. 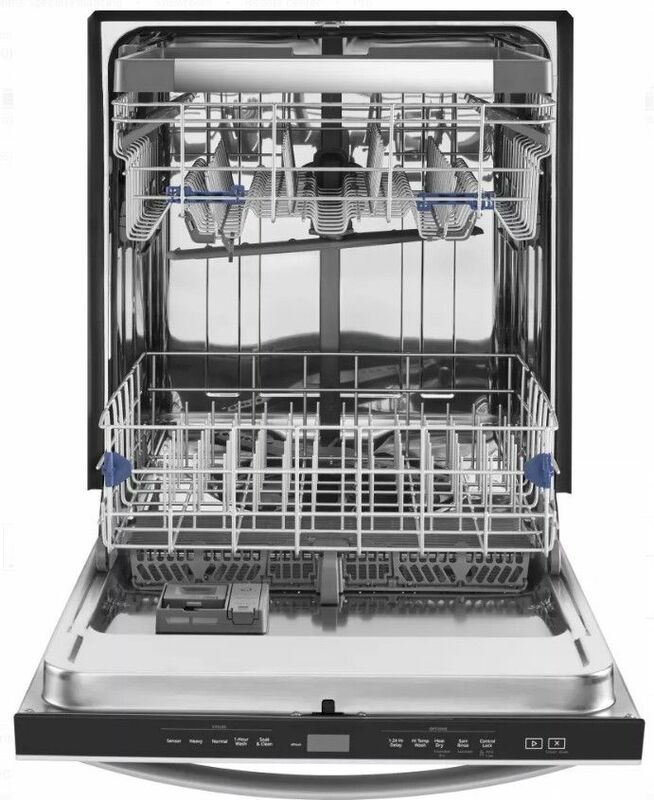 Sanitizes dishes and glassware in accordance with the National Sanitation Foundation (NSF®) standards of cleanliness, eliminating 99.9% of bacteria. 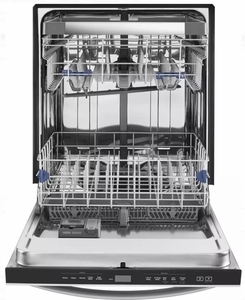 Get perfect cleaning every time with the Sensor cycle. The soil sensor measures load size and soil level during the prewash, and the dishwasher adjusts to the right wash and dry settings throughout the wash cycle to deliver precise cleaning to your dishes.